Herbert J. Horn, Jr. died on Saturday, March 17 in Luling. Son of Jenelle Roberand the late Herbert Horn Sr. Father of Christy Horn and Duane Horn. Brother of Andy Howard and Priscilla Keller. Grandfather of 2 granddaughters, and great- grandfather of 2 grandsons. Also survived by many loving relatives and friends. Age 52 years and a native of New Orleans and a resident of Destrehan. Mass of Christian Burial was at 10:30 AM on Friday, March 23 at St. Charles Borromeo Catholic Church in Destrehan. Visitation at Alexander Funeral home in Norco from 7:00 PM until 9:00 PM on Thursday, March 22 and at St. Charles Borromeo Catholic Church from 9:30 AM until 10:30 on Friday. Interment will take place at a later date. Arrangements by Alexander Funeral Home in Norco. Stanford Joseph Caillouet, Sr. passed away on Tuesday, March 20 at 11:42 AM in Destrehan due to complications from Mesothelioma Asbestos. Age 78. A native of Garyville and a resident of Destrehan. Husband of Judith Babin Caillouet. Son of the late Albert Caillouet Sr. and Palmire Brignac Caillouet. Father of Mary Ellen Caillouet Tucker “May” and husband the late Lester Tucker, Jody Burge “Neck bone”, Angelo Joseph Caillouet “AJ” and wife Jeannette Caillouet and her children, Donal Jr., Kasey, Timothy, Lynn, and David Balance, and Stanford Joseph Caillouet Jr. “Mann” and wife Judy Caillouet. Brother of Albert Caillouet, Jr., Warner Caillouet Sr., and Ilda Caillouet Adams, Violet Caillouet Simoneaux, Brenda Caillouet Richard and the late Mary Ellen Caillouet. Grandfather of Michael Cancella, Amanda Cancella, Lester Tucker Jr. Jeremy Tucker, Angela Tucker Johnson, Kyle Tucker, Morris Broom, James Broom Jr., Joshua Broom, Summer Burgs, Kimberly Burge, Krystal Caillouet, and Kayla Caillouet. Great-grandfather of Karlee Cancella, Perry Stubbs, Abigail Stubbs, Alyssa Winiger, Caryn Tucker, Loney Tucker, Javin Tucker, Cadence Tucker, Neal Johnson II, Promise Broom, Skylee Broom and Elijah Broom. 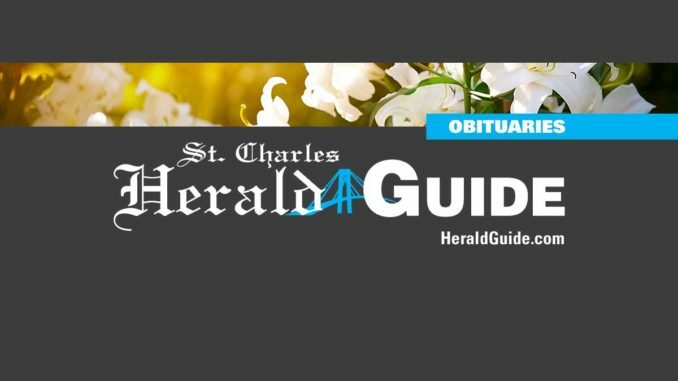 Visitation was at Alexander Visitation home in Norco on Friday, March 23 from 9:00 AM- 1:30 PM followed by a Mass of Borromeo Catholic Church in Destrehan Interment in church mausoleum. Alexander Funeral Home of Norco in Charge of arrangements. Audrey Mae Dufrene Gaubert passed away on Monday, March 19 at 12:10 AM in Jefferson. Beloved wife of the late Lucien Paul Gaubert. Mother of Nell Gaubert Ladieu and her husband Brian Ladieu. Grandmother of Gage Ryan Parfait and Raven Marie Parfait. Daughter of the late Andrew George Dufrene and Marie Louise Dufrene. Sister of Oliver George Dufrene, Sr., Olivia Ann Dufrene Zeringue and Rose Mary Dufrene Parker. Also survived by 3 nieces, 3 nephews, 4 great nieces and 1 great nephew. A native of New Orleans and a resident of Metairie. Age 73 years. Relatives and friends of the family are invited to attend the funeral. A Mass of Christian Burial will be celebrated at St. John the Baptist Catholic Church in Paradis on Wednesday, March 21 from 11:00 AM. Interment St. Gertrude Cemetery in Des Allemands. Visitation from 9:00 AM until funeral time on Wednesday at St. John the Baptist Church. In lieu of flowers donations to American Cancer Society or Leukemia-Lymphoma Society. Falgout Funeral Home in charge of arrangements.